Alberto Contador (Tinkoff-Saxo) strengthened his overall lead in the Vuelta a Espana on Sunday, winning the race’s final mountain test and putting more time into his rivals. Chris Froome (Sky) placed second, with Alejandro Valverde (Movistar) in third. Przemyslaw Niemiec (Lampre-Merida) was the sole survivor of the day’s original four-man escape group that also included Wouter Poels (Omega Pharma-QuickStep), Jerome Coppel (Cofidis) and Maxime Mederel (Europcar). Niemiec ploughed a lone furrow at the start of the final climb of Puerto de Ancares, but the Sky-led peloton whittled down his advantage and he was caught just after the 10km-to-go marker. Joaquim Rodriguez (Katusha) attacked with 8.5km to go, and Valverde tried to follow but dropped back and was caught by Froome, Contador and Fabio Aru (Astana). Froome and Contador then dropped Valverde and Aru to catch Rodriguez with 5.5km to go, with Froome setting the pace. Rodriguez paid for his earlier efforts was distanced with 4km to go. 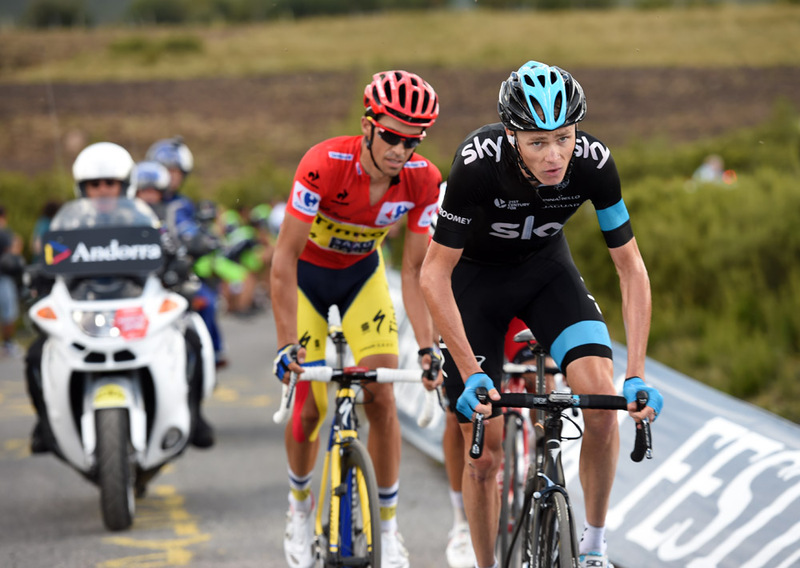 Froome continued setting the pace, with Contador glued to his rear wheel. Contador then attacked Froome in the final kilometre, dropping the British rider and taking the stage win to cement his race lead. Just Sunday’s final, short 9.7km individual time trial remains to sort out the winner of the 2014 Vuelta a Espana – but it looks highly unlikely that anyone can overhaul Contador now.